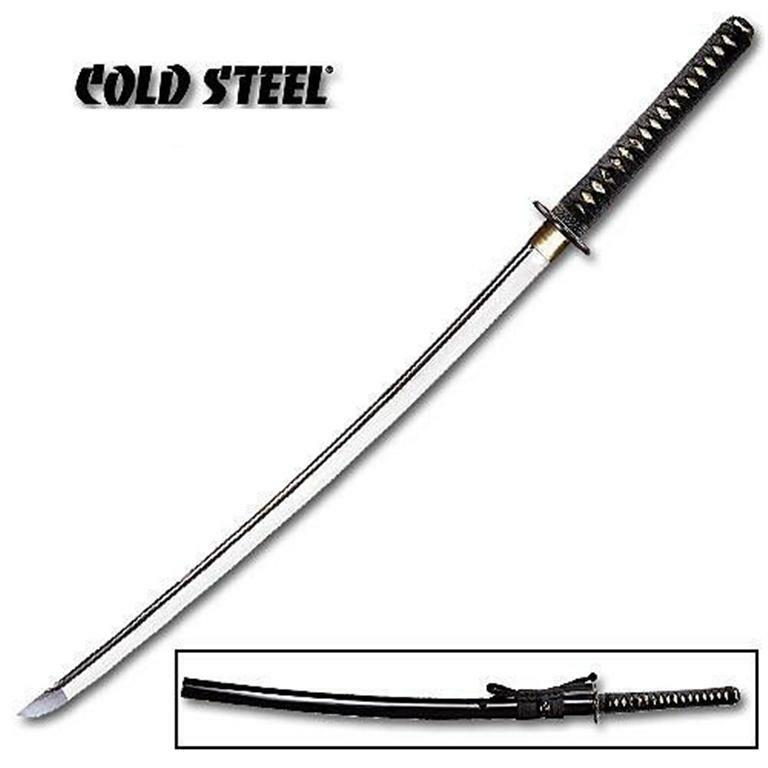 Cold Steel has used only traditional materials for their Japanese sword. 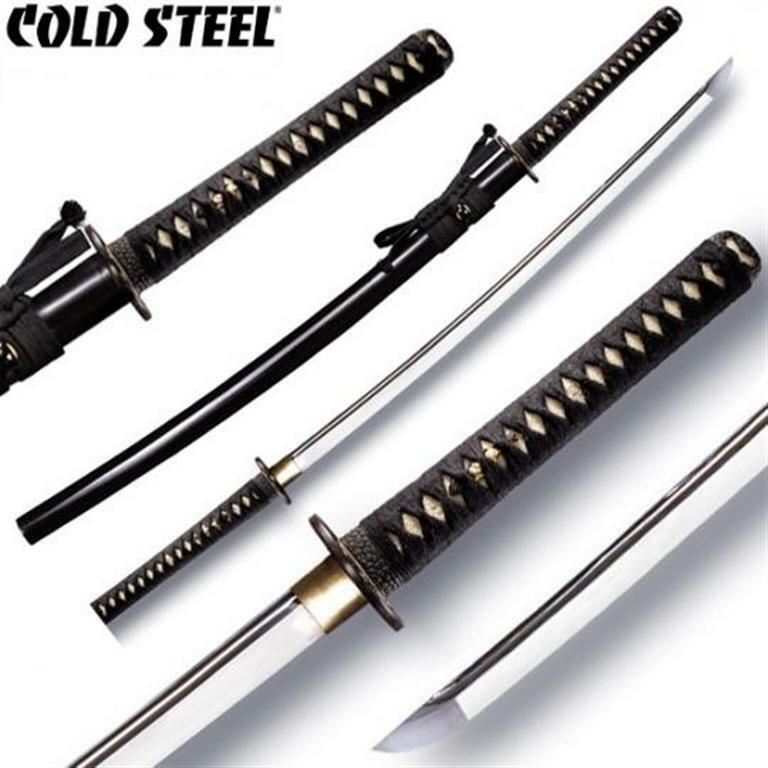 The Tsuba (guard), Fuchi (collar), and Kashira (pommel), are expertly made and finely crafted from black iron. 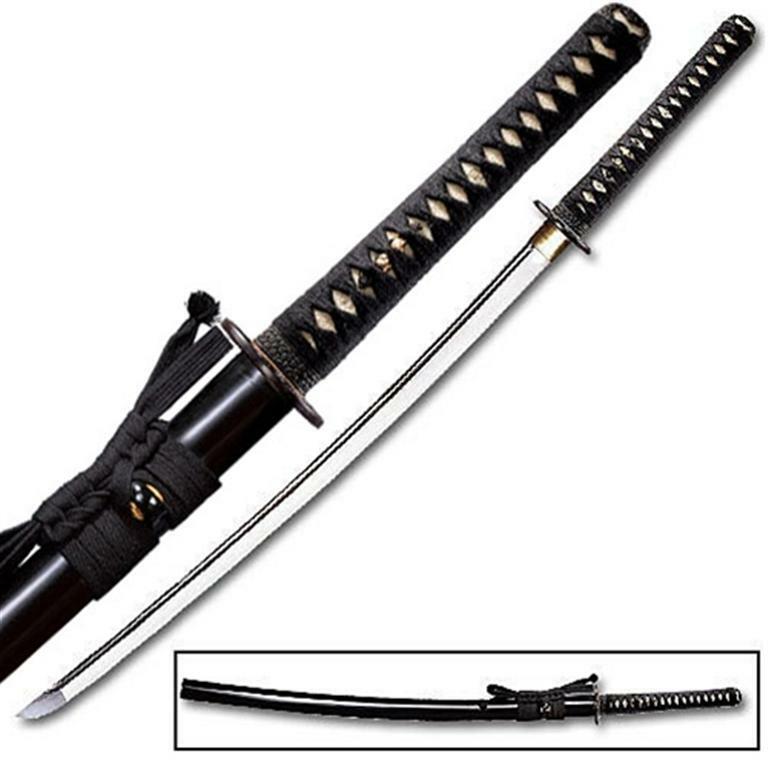 The Habaki (blade collar), is hand made out of polished brass and each hilt is covered in Sam� (ray skin) and tightly wrapped in the traditional style with black cord. A beautiful brass Menuki ( a small, ornamental sculpture inserted between the ray skin and the cord wrappings on the handle) enhances the swords aesthetic appearance and makes for a sword that is as traditional looking as we can possibly make it. All come complete with a BLACK LACQUERED SCABBARD and a BLUE/VIOLET COVER BAG. Feature:fully sharpened 1050 carbon steel blades, each heat treated to a spring temper. The"blade surface is then given a careful polish by hand, with a distinctive mirror polish applied to the fuller (blood groove). 29 3/8" blade, 40 3/4" overall.